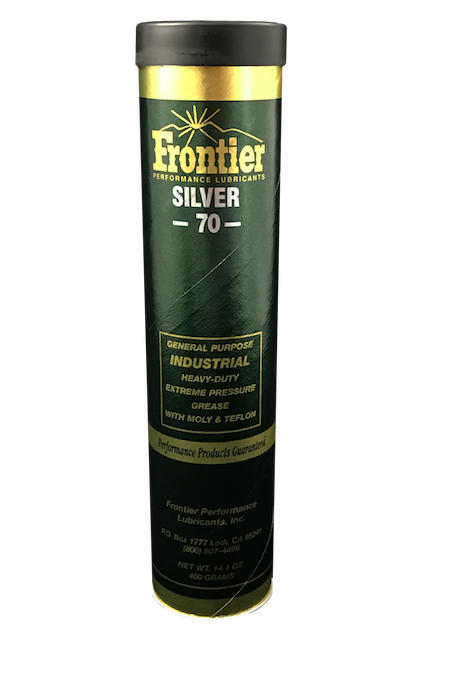 Frontier Performance Lubricants, Inc. is your one stop solution for all your industrial lubrication needs. From custom made naturally high viscosity index base oils, fortified with the most advanced additives available, to our quality Synthetic Oil & Grease, Air Compressor Oil, Hydraulic Oil, Multi Purpose Oil & Grease, Special Application Oil & Grease, Gear Bearing and Recirculation Oil & Grease, Specialty Oil & Grease, Food Grade Oil & Grease, Marine Oil & Grease, Motor Oil, Metalworking Oil, Machine Oils. Our complete line of environmental, high performance industrial lubricants are used in commercial vehicles, heavy industry, two-stroke engines, and a broad spectrum of other industrial applications. Air Guard 15,000 is a premium quality ashless, highly oxidation stable, anti-wear lubricant, blended from high viscosity index hydro-processed group II base oils and specially selected additives. This lubricant can be used in a wide variety of compressor applications where manufacturers recommend R&O or AW type oil. This includes piston and screw type compressors. Special friction reducing and anti-oxidation additives make this an extremely long life lubricant (15,000 hour oxidation rate). ALLSYN AIR lubricants are manufactured from the highest quality PAO (polyalphaolefin) base stocks and advanced additive technology. ALLSYN HYDRAULIC is an ashless hydraulic oil, formulated from the highest quality synthetic hydrocarbons to meet the requirements of all types of hydraulic systems. Allsyn Hydraulic oils are rust and oxidation inhibited to protect against rust, wear and the formation of sludge. They are compatible with seal materials normally used in hydraulic systems. ALLSYN-MAX REFRIGERATION Oil is a synthesized hydrocarbon-alkylate 100% full-synthetic formulation for reciprocating, rotary, and centrifugal refrigeration compressor applications using any of several refrigerants including ammonia (R717), R12, R13, R22, R113, R114, R123, R401A, R401B, R402B, R409A, R500, R502 and R503. ALLSYN MAXAIR is a high performance lubricant formulated specifically to outperform other synthetic rotary compressor lubricants on the market. Allsyn-Gear-FS 212 Series gear lubricants are formulated with synthetic base stocks and fortified with select additive systems to enhance their exceptional performance. The PAO base fluid used has outstanding oxidation and thermal stability, naturally high viscosity index and excellent low temperature pump ability and fluidity. The unique additive system used provides increased oxidation stability, extreme pressure properties, and maximum protection against wear, rust, corrosion and foaming. Allsyn-Heavy Gear-228 Series synthetic gear lubricants are formulated using synthesized hydrocarbon fluid and select additives to enhance oxidation resistance and provide maximum protection against wear, rust, corrosion and foaming. 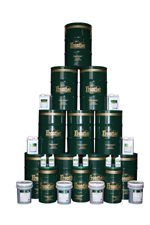 Bio-Cable and Wire Rope Lubricant is a unique blend of highly solvent vegetable base oils. Bio-Cable and Wire Rope Lubricant is fortified with Anti-Wear additives as well as non aggressive EP additives to reduce cable stretching and provide extended cable life. BIODRAULIC HYDRAULIC FLUID is a premium quality, highly oxidation stable, anti-wear lubricant. This vegetable based product has been formulated to meet and exceed the requirements set forth by most hydraulic pump manufactures, and is stable enough to be used in both high temperature and high pressure systems. BIODRAULIC HYDRAULIC FLUID has a unique rust and oxidation inhibiting system that assures the highest level of rust and oxidation protection availiable. BIODRAULIC HYDRAULIC FLUID is a clear choice for use in applications on or near water. Biodraulic Tractor Hydraulic is an environmentally responsible universal lubricant for farm equipment, off-highway machinery, and industrial tractors. This multifunctional biobased fluid is designed for equipment requiring one lubricant for the transmission, final drive, wet brakes and hydraulic systems. It meets or exceeds the performance requirements of all major brands of farm tractors and other farm equipment that utilize a common fluid reservoir. Biogear Oils are environmentally responsible lubricants designed for the protection of gears and bearings in systems where high temperature and/or extreme pressure conditions exist. Black Cat Severe Duty is a tacky, long-life, adhesive/cohesive grease, designed with a 70 pound Timken OK Load Rating, and a drop point of 550 F+. Black Cat is specially formulated to provide maximum, long lasting protection to bearings, bushings, pins, sliding surfaces, and other areas exposed to severe conditions of pounding, moisture contamination, or heavy loads. Black Cat Gear Compound is a non-melt, non-asphaltic based multi-purpose compound. Brake Parts Cleaner is a heavy duty solvent degreaser designed to remove oil, brake fluid and grease deposits. Use for general purpose cleaning or for final hand degreasing of finished parts. Brake Parts Cleaner has a controlled evaporation rate that allows for a more thorough cleaning of heavily soiled surfaces. 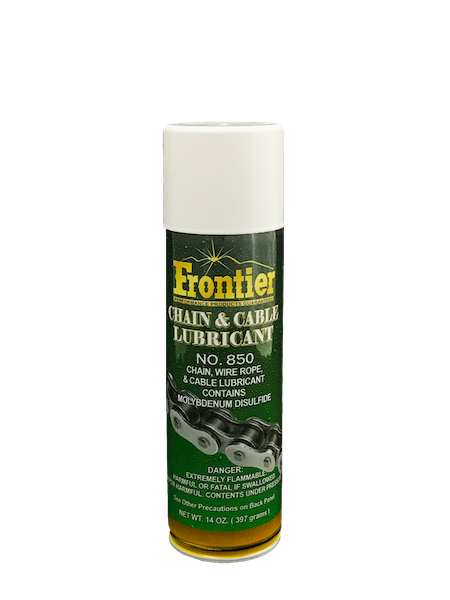 Chain & Cable Lube is a mixture of penetrants, anti-oxidants, oils and greases. These penetrate into chain components and cable strands to provide maximum lubrication and rust prevention. Citrus Supreme is a versatile, safe to use, biodegradable, natural, cleaner/degreaser designed for industrial, automotive and commercial applications. 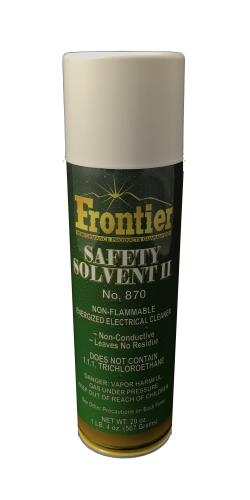 It does not leave a strong solvent odor or contain harmful chemicals that may endanger the user. Clean Tech LS is a Lithium complex thickened high speed bearing grease. It has excellent thermal and oxidative stability and is formulated with the highest quality Group II mineral oil. Fortified with corrosion and oxidation inhibitors, this product is excellent for lubrication and protection of high-speed electric motor bearings and other applications requiring excellent anti-wear. Dust Tec Dust Control Tablets are a Polymer tablet designed for use in soil erosion and dust control. These tabs will flocculate unstable fine soil particles and viscosify water. Dust Tecis made of a linear polymer, linked with an effervescent system. The tablet will immediately dissolve in presence of water, releasing the polymer without any mechanical stirring, without any gel blocking. The immediate dissolution of the tablet allows the homogenous dilution of polymer in the water tank. Dust Tec is specifically developed to avoid the use of any specific dosing equipment. Heavy Duty Cleaner is a versatile, safe to use, highly concentrated cleaner/degreaser designed for industrial, automotive and commercial applications. Kleen Air can help alleviate the problems caused by varnish and carbon. Kleen Scale is a water-based solvent containing wetting agents, corrosion inhibitors and degreasing compounds. A heavy duty, general-purpose cutting oil containing high concentrations of extreme pressure and lubricity additives. These powerful additives give Metal Lube Cutting Fluid exceptional lubricating, cooling, and anti-weld properties. NO DUST is a vinyl acetate polymer dust control product that is designed to prevent dust in areas having heavy vehicle traffic. The recommended dosage of 4%, mixed in water, will form a mechanically high resistant elastic and waterproof coating. The crust will resist vehicle tires and remain hard without producing any dust for several weeks. It can be used to treat almost any soil or aggregate type under a wide temperature range. PIVOT GUARD #1150 Gear Oil is designed for use in both pivot and linear sprinkler worm driveboxes. It has heavy paraffin base oils and a proprietary synthetic polymer to both slow water intrusion and to separate completely from any entrained water. PIVOT GUARD#1150 contains special extreme pressure and anti-wear additives specifically designed for the sliding contact of gear teeth. The use of #1150 will significantly reduce maintenance costs associated with topping off of gearboxes which have damaged seals and or cases. Premium Blue is a multi-purpose, high performance, transmission / hydraulic fluid. This product is specifically formulated for use in farm equipment and off-highway equipped incorporating hydraulic systems, wet clutches, transmissions and/or wet brakes. This product will provide superior performance in power-driven off-highway equipment, construction machinery and industrial equipment. 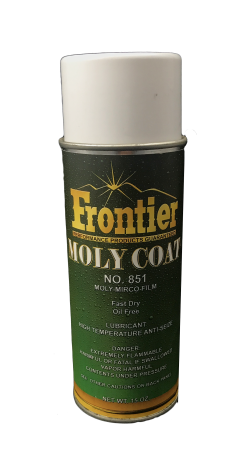 Pro Coat Chain, Wire Ropa & Cable Lubricant is an extremely adhesive/cohesive lubricant compounded from the highest quality base oils, additives, inhibitors and Frontiers exclusive MTX moly friction reducer additive package. Pro Guard AW is a premium quality ashless, highly oxidation stable, anti-wear lubricant, blended from high viscosity index hydroprocessed group II base oils and specially selected additives. This lubricant can be used in a wide variety of hydraulic applications where manufacturers recommend an R&O or AW type oil. Special friction reducing and anti-oxidation additives make this an extremely long life lubricant (15,000 hour oxidation rate). Pro Guard AW is a premium quality ashless, highly oxidation stable, anti-wear lubricant, blended from extremely high VI base oils and specially selected additives. This lubricant can be used in a wide variety of applications where manufacturers recommend an R&O or AW type oil, such as an AGMA Gear Lubricant or general machinery lubricant. 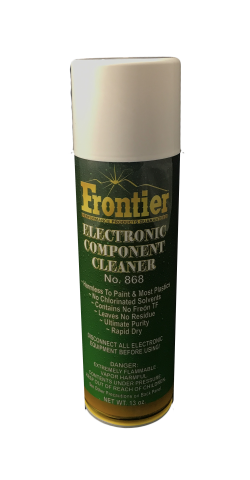 Special friction reducing and anti-oxidation additives make this an extremely long life lubricant (6,000 hour oxidation rate). PRO GUARD SEMI-SYNTHETIC TO-4 FLUIDS are severe duty lubricants specifically blended for transmissions and final drives which require Caterpillar TO-4 fluids. This fluid is specifically designed to provide long drain intervals and reduce wear in severe duty, heavy load applications. Safe Guard Heavy Duty formulation begins with time proven Safe Guard Commercial Grade Product. It is then enhanced with additional fibers and fillers that are larger in size. V I Plus Semi-Synthetic Heavy Duty Two Cycle Oil is a superior performance, low ash two cycle oil specifically designed for air cooled two cycle engines. Wear Guard AW is a premium quality, highly oxidation stable, anti-wear lubricant, blended from extremely high VI base oil and specially selected additives. This lubricant can be used in a wide variety of hydraulic and turbine applications where manufacturers recommend an R&O or AW type oil. Special friction reducing and anti-oxidation additives make this an extremely long life lubricant (8,000 hour oxidation rate).